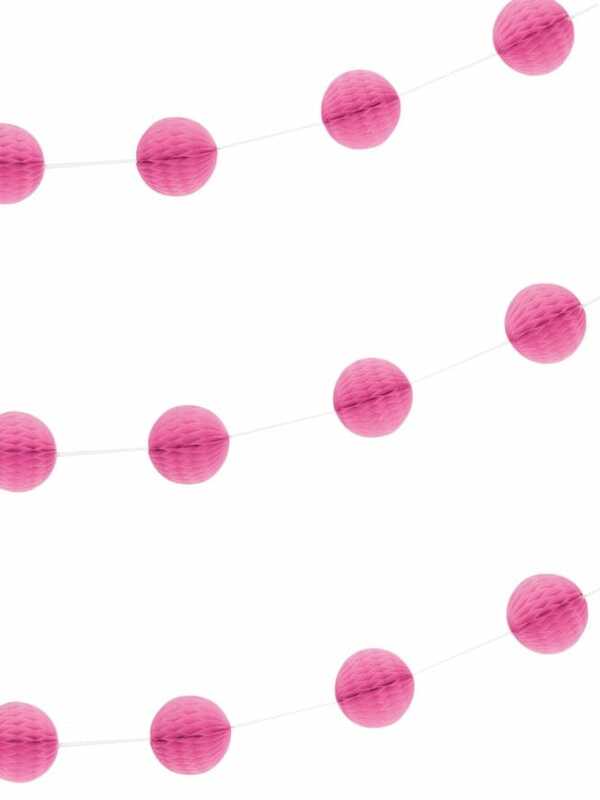 This fantastic Hot Pink 7 Ft Honeycomb Ball Garland is the perfect addition to any shabby chic Hen Night. Once your venue is festooned in these sensational garland the Bride to Be will have the bachelorette party she not only wants, but deserves! These pink decorations are made of the finest crepe paper and each garland is 7 Ft long! Why not add this table confetti, bridal shower banner, table cover and these personalised T-Shirts to complete your order? Hen Party Superstore offer a range of delivery options, including Next Day and Saturday delivery so that you can get these accessories even at short notice.